Maxwell Self Storage has space for virtually all of your self-storage needs. We’re located in Montgomery, Alabama near Maxwell Air Force Base. In addition to our spacious indoor warehouse storage, we offer a variety of mini storage unit sizes and configurations as well as outdoor parking space for vehicles. Office entrance and parking across the street from Maxwell AFB. We offer temporary, short-term, and long-term storage lease agreements for our storage units, warehouse self storage, and outdoor parking spaces. Locally owned and operated, our management and staff are highly trained, experienced, and committed to providing the best level of quality customer service in Montgomery. At Maxwell Self Storage, we offer outdoor parking and indoor storage rental plans for local residents, military families, small businesses, nonprofits, and community organizations in the Montgomery River Region. Maxwell Self Storage makes your self storage experience an easy one, while keeping your belongings safe and secure so you’ll sleep easy at night when you’re away from your valuable possessions. 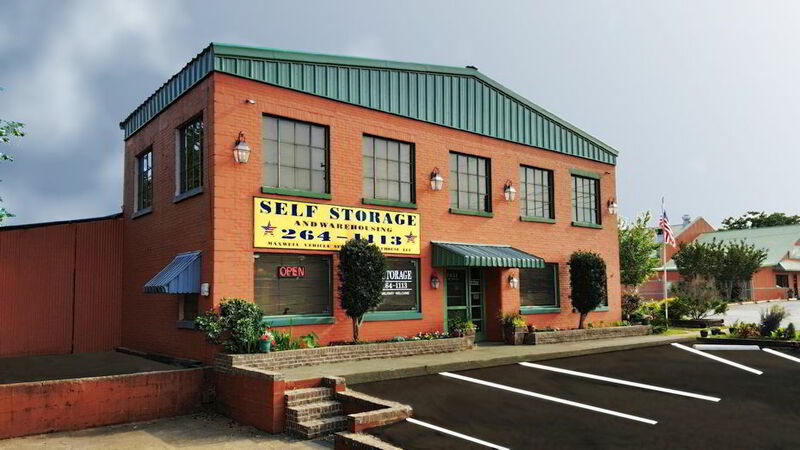 For affordable storage in Montgomery, Alabama, there’s no better place than Maxwell Self Storage! Montgomery storage customers can enjoy our convenient self-service storage solutions without having to journey too far or waste precious time. Our facility is located on Bell Street, approximately 2 miles from Montgomery’s downtown business district and a 4-minute drive from the Interstate interchange at I-65 and I-85. Our close proximity to the Interstate means we’re easily accessible within Montgomery County and nearby communities in central Alabama such as Millbrook, Prattville, and Wetumpka. Flying in from out of town? Maxwell Self Storage is only a 14-minute drive from the Montgomery Regional Airport. For directions, click here ». Rated 5 out of 5 stars ★★★★★ by satisfied Montgomery storage customers! Decluttering Your Home: Store It or Keep It? - Need help decluttering your home? Not sure what to keep? Most people reach that point - there’s just not more space for anything! Contact Maxwell Self Storage when you're ready to rent that much needed storage unit! Choosing a Storage Facility or Unit - Choosing a storage facility with the right storage unit may not be as easy as it seems. Ask these questions before your moving your stuff, like packing requirements, types and size of items to be stored, and storage unit amenities. Storage for Holiday Decorations - When December is over and the holiday season is done, it’s time to take down all of the decorations. Do you have space for all of your Christmas décor? If not, it might be time to lease a self storage unit! Why Use Self Storage? - There are a number of benefits to using self storage including additional security, safety, and extra space. Contact Maxwell Self Storage when you need a storage unit for things you want to keep but don’t need occupying your living (and playing) space. Office Rental near Maxwell AFB - Office rental space near Maxwell AFB, Commercial Property for Lease in Montgomery, Alabama near Maxwell Air Force Base. Do you need extra storage space? Looking for convenient and affordable self-service storage solutions? 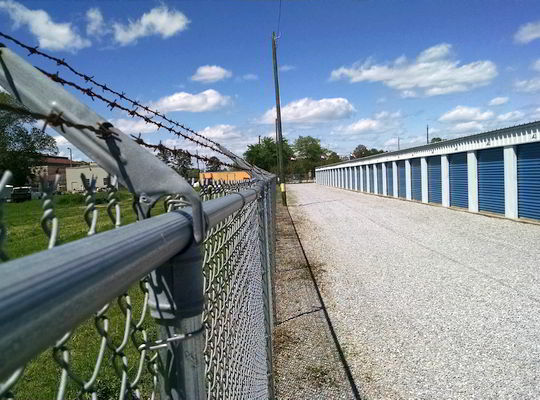 Contact Maxwell Self Storage for ALL your Self-Storage projects. We offer a choice of seven (7) self-service storage units with pricing plans you can afford. Unit sizes and configurations range from our 5’x10′ mini storage units up to our spacious 10’x35′ units. Our indoor storage and outdoor parking offers space for all types of automobiles including cars, trucks, minivans, SUVs, antique & vintage vehicles as well as watercraft, utility, and horse trailers. Indoor warehouse storage for recreational vehicles (RVs) and trailers including motorhomes, campervans, travel trailers, fifth wheel trailers, teardrop trailers, popup campers, truck campers and more. Warehouse storage for all types of motorboats, pleasure boats, and personal watercraft including ski boats, fishing boats, sailboats, houseboats, pontoons, row boats, canoes, kayaks, pirogues, Jet Skis, Sea-Doos, and Wave Runners. 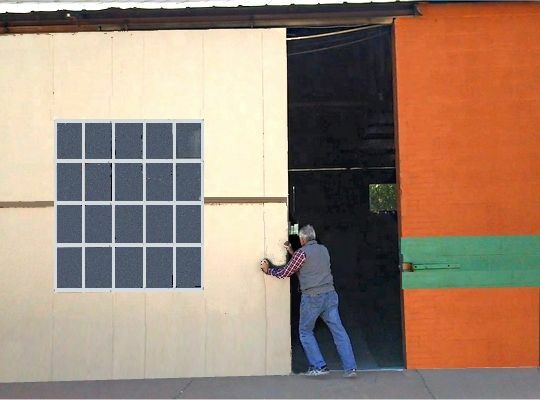 Indoor warehouse storage for motorcycles and ATVs including professional racing bikes, dirt bikes, scooters, mopeds, mini bikes, sportbikes, cruisers, three-wheelers, four-wheelers, and motorcycle equipment and accessories. Storage for household goods, furniture, and closet clutter including boxes, bicycles, toys, mattress sets, dining room sets, armchairs, sofas, chests, household appliances, pianos, and other miscellaneous items. Storage solutions for college students from nearby Alabama State University (ASU) in need of temporary storage space during summer break when they don’t want to drag home all their personal belongings. We provide short-term and extended storage plans and military discounts for servicemen and women attending Air University and military families stationed at nearby Maxwell Air Force Base (AFB) in Montgomery, Alabama. Running out of office space? We have offsite self-storage solutions for your office furniture and paper records including metal file cabinets, boxes of paperwork, maps, property deeds, legal documents, and medical records. Commercial storage options for local businesses, organizations, nonprofits, and profit-making ventures in need of a convenient location from which to base your operations or store work equipment and supplies.